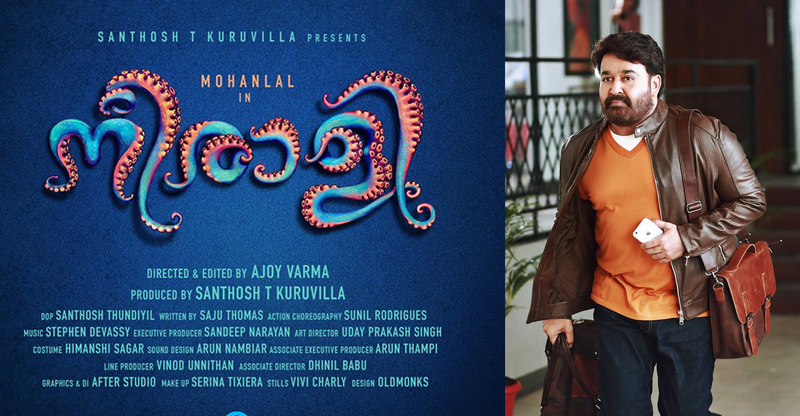 after Munthirivallikal Thalirkkumbol and villain, leading malayalam channel surya tv purchased another mohanlal movie rights, neerali bagged by sun network. surya tv officially confirmed the same through facebook page. we can trust the same, orayiram kinakkalal, njan marykkutti etc are the recent picks by surya tv. neeraali movie is schedule to release on 14th june 2018. This is the first film of Ajoy varma in mollywood, it’s pre production works now going on.parvatii nair, suraj venjaramoodu, saikumar, dileesh pothan, nadhiya, nassar, megha mathew etc are supporting star cast of this action thriller movie. mohanlal agreed to do the film after checking the script, this will his next theatrical release after villain. odiyan is the most awaited mohanlal movie, it’s expected to release during pooja holidays. he is also doing an important character in upcoming movie kayamkulam kochunni. he is laying the role of ithikkara pakki in roshan andrew’s kayamkulam kochunni film. odiyan rights sold to amrita tv, there is an agreement running between aashirvad cinemas and amrita tv. next 5 films of aashirwad films will be with amrita channel, velipadinte pusthakam, aadhi already sold to them. 1971 beyond boarders is another mohanlal movie bagged by amrita tv. Surya tv now started posting about latest satellite right purchases. Kunchacko Boban starring Kuttanadan Marpappa is another film bagged the channel. This film released on 29th march 2018 with mixed reviews. we can expect Kuttanadan Marpappa on surya tv during 2018 onam holidays. Biju menon starring orayiram kinakkalal is another film purchased by surya tv. They have posted about the same through facebook page, which is scheduled to release on vishu.Ranjith shankar-Jayasurya combo latest film titled as njan marykutty, which is also bagged by surya tv. we will update more details about malayalam channels through this page.